The next booster expansion for Bushiroad International’s Cardfight!! 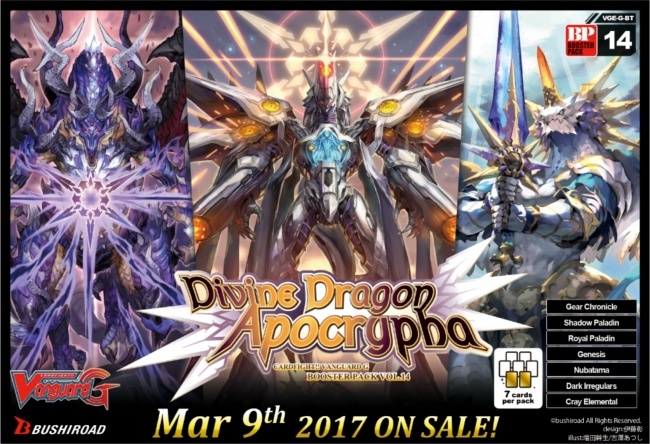 Vanguard G trading card game will be Divine Dragon Apocrypha, releasing on March 9. This expansion is a preview of sorts for the upcoming Cardfight!! Vanguard G Z animated series, and features the arrival of the Dragon Deity of Destruction, Gyze, brought into the world when all of the Zeroth Dragons come together. The focus of the deck is the Dark Zone Zeroth Dragon of End of the World, Dust and the United Sanctuary Zeroth Dragon of Eventual Pole, Ultima. The trump cards Altmile, Minerva, Shiranui, and Gastille are also featured. 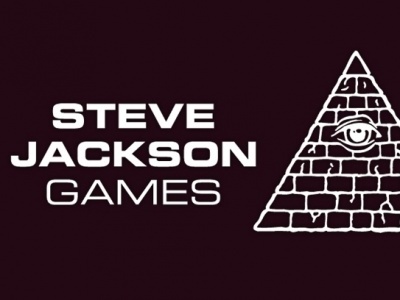 The complete set includes 100 cards, with 97 new cards and 3 reissued cards: “Succubus of Pure Love,” “Pulsar, Revolver Dracokid,” and “Pulsar, Hypnosis Sheep.” Rarities will be 3 ZR, 2 GR, 9 RRR, 13 RR, 24 R, and 49 C. There will also be 12 parallel SP cards, 3 Special Reissue cards - “Knight of Heavenly Decree, Altmile,” “Dragqizard, Morfessa,” and “Rikudo Stealth Dragon, Tsukumorakan” - and 6 Secret Rare cards. Each 7-card pack will include 2 R or above rarity cards. 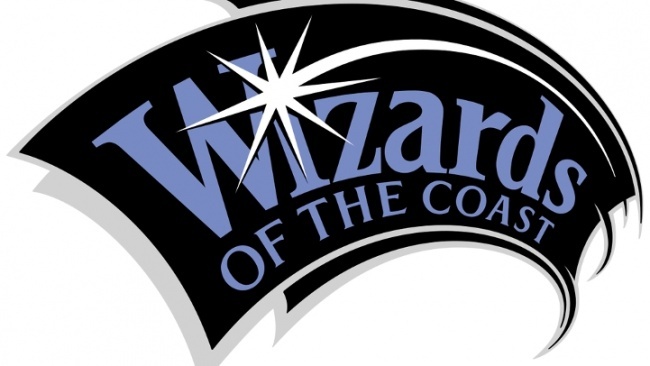 Boosters will be sold in 16 pack displays, and each display comes with one of two possible PR promo cards. 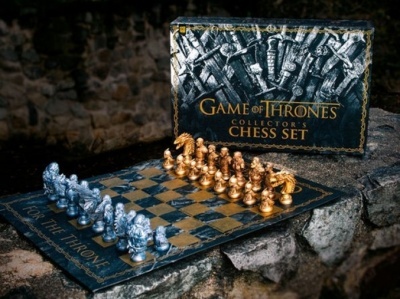 Every 20-display carton pre-ordered also comes with an exclusive playmat. See the gallery for sample images of card art from this set. 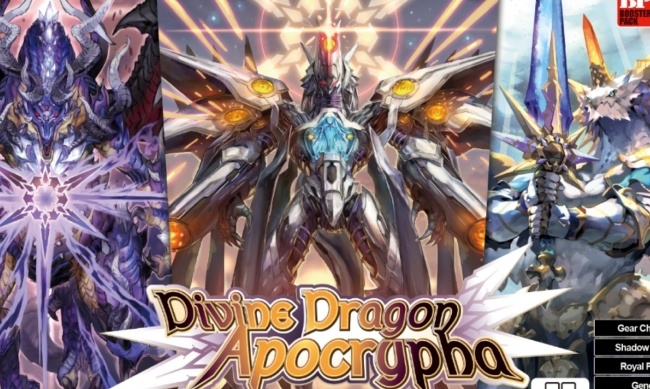 Retailers who wish to hold a pre-release event may do so during the weekend of March 2 - 4, and can order the Divine Dragon Apocyrpha Sneak Preview Kit. Each kit has 39 booster packs, enough for eight participants to each receive four packs, plus seven packs to use as prizes. Nine promo cards and two premium rubber playmats complete the kit. Divine Dragon Apocrypha follows The Galaxy Star Gate, releasing on February 23 (see “The Star Gate Nation Descends From Above”).